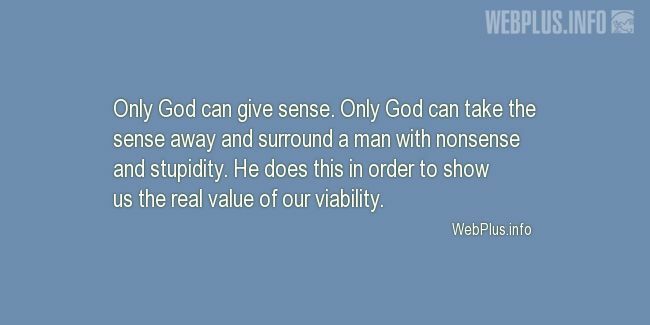 «Only God can give sense» illustrated quotation. Meaning, free quote pictures for Facebook, Twitter, LinkedIn, Reddit, Pinterest and other social networks. Only God can give sense. Only God can take the sense away and surround a man with nonsense and stupidity. He does this in order to show us the real value of our viability.